Operated by an associate of Alderly, Jumpman Gaming Limited, and having been launched in December 2014, All Stars Bingo is a new and upcoming site that has a lot of potential. 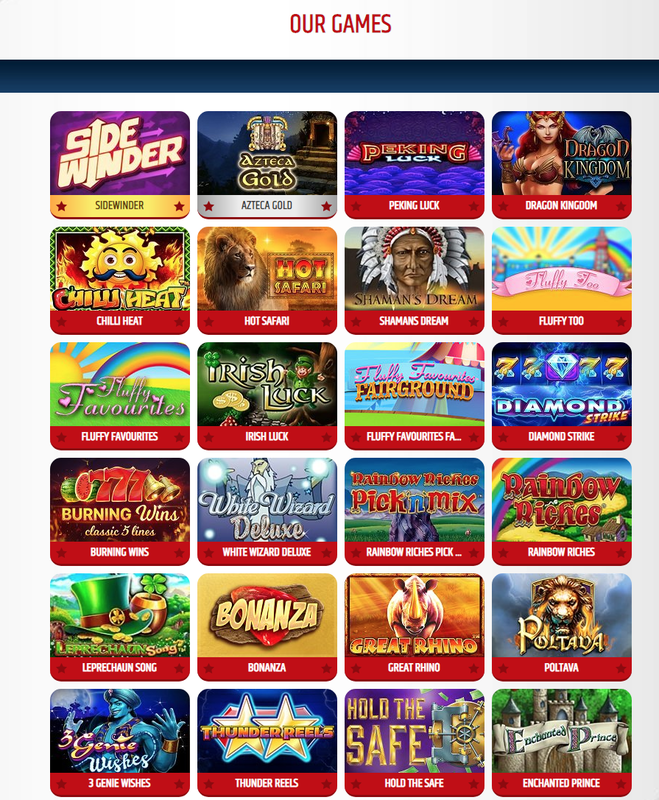 Despite being yet another bingo site amongst many, this new brand heralds from the 15 Network, and as such offers a great range of games and bonuses for players. There is nothing overly flashy or flamboyant about the homepage, which is somewhat surprising given the extensive team of veteran professionals behind the launch. However, the lack of decorative extras does produce a more easy going and laid back environment for members to inhabit. Furthermore, the website is incredibly easy to navigate. Even though All Stars Bingo is in its infancy, the customer support staff are just as consistent as any seasoned gaming site due to the site being part of an established network. Players can contact via email and telephone, although it is stated on the 'Contact Us' page that email is the preferred method of communication. There are quite a few bingo-based games across various rooms to keep you busy during your time with All Stars Bingo, some of which are only available depending on the type of membership you have and how recently you joined. Furthermore, bingo, despite being the primary objective of the brand, isn't the only activity you can get involved with – there are also a lot of slots matches for you to play. First and foremost, however, you need to sign up before you access any of the games. Although slightly tedious, the registration process is really easy and is over in a matter of minutes, which is ideal for players who are eager for a quick gaming fix. Once you've gotten that technicality out of the way, you can finally click the 'Play Now' tab to launch your All Stars experience. Depending on your Internet connection and your tech specifications, the loading screen for the games can be super fast or inconveniently slow. When everything finally loads, you are presented with a crisp and clean categorisation system that offers players a choice of Video Bingo, 75 Ball, 90 Ball, Jackpots and Instants (as well as a Newbie tab if you're a new member). In each section you'll see what games are on offer, when the next game takes place, what the cash prizes are and how much it costs to get started. There are five ranks of membership for users to work their way through, and each tier is activated by how loyal you are to the site. Put simply, the more you play on All Stars Bingo the better rewarded you'll be. All gamers will start off on the Member level and will then work their way through Bronze, Silver and Gold to obtain the final rank, which is Black. Each membership is meant to mean more rewards and exclusive offers, however no specifics for each one are listed.